In a very Terminator-like dystopian future, the world has become overrun by mutant-hunting robots known as Sentinels, who have the ability to adapt to any mutant ability thus making them fairly unstoppable. All of this was made possible because Mystique (Jennifer Lawrence) assassinated the father of the Sentinel program, Bolivar Trask (Peter Dinklage), in the 1970s. So, the remaining X-Men, some old (Storm, Iceman, Colossus, Professor Xavier, Magneto, Kitty Pryde), some new (Blink, Sunspot, Bishop) unite to send Wolverine’s consciousness back in time to the 1970s to prevent Mystique along with the reluctant help of the younger versions of Professor Xavier (James McAvoy) and Magneto (Michael Fassbender), with around a decade having passed for them since the events of First Class. Mischief ensues. Coming into this movie, no one knew if Bryan Singer really had it in him anymore after his recent failure with Jack the Giant Slayer, and it was not exactly re-assuring that they were stuffing it full of almost as many mutants as Brett Ratner did in The Last Stand. For longtime fans, it should take no longer than a couple of minutes for Days of Future Past to put your worries at ease. In classic Bryan Singer fashion, we open with a voice-over prologue from Patrick Stewart’s Professor Xavier, concisely setting up the themes and concepts of the movie, before seguing into a very X2-esque opening credits sequence in which a digital camera appears to zoom in and out of the human genome to pinpoint areas of mutation as John Ottman’s instantly familiar X2 musical score blares through the speakers. We end on a held shot of the X-door to cerebro before re-opening to allow the film’s story to begin proper. Of course, for the X-Men uninitiated none of that means anything, but for those who remember Singer’s X-Men and X2 the combination of these familiar elements provokes a powerfully nostalgic and reassuring sensation. However, more so than just about any other comic book movie in recent history Days of Future Past wastes little time in attempting to be accessible, assuming that at the absolute very least we’ve all seen X-Men: First Class and have a passing familiarity with Hugh Jackman’s Wolverine and the Patrick Stewart and Ian McKellan versions of Professor X and Magneto. Heck, even for those who really know their X-Men movies it does little to explain the new mutants on hand this time around, most of whom are from the film’s book-ending future scenes which feature mutants with visually interesting powers but still go unnamed on screen and barely have any dialogue (Sunspot, Bishop, Blink, etc.). That’s because no one understands this better than Bryan Singer: the best way to adapt the insanely large ensemble that is the X-Men to screen is to purposefully focus in on a select group of characters, leaving the rest as glorified extras. This approach inevitably leaves multiple beloved comic book characters quite severely underserved, with the likes of Cyclops and Storm the first that come to mind (and even though Halle Berry is back as Storm in Days of Future Past nothing’s really changed for her). However, the common complaint was the The Last Stand tried to do way too much while First Class didn’t give us enough of Xavier and Magneto. So, Days of Future Past returns to the days when the first X-Men movie was just about Wolverine, Rogue, and Magneto and gives us a story which effects every character but only focuses on Wolverine, Mystique, Magneto, and Professor X, and while the stakes are technically higher than ever they ultimately come down to an old friend trying to save someone’s soul by trusting them. That might make it seem like more of an intimate film than it is because there are indeed multiple jaw-dropping action set pieces, but almost all of them are give over to supporting characters, chiefly Blink (Bingbing Fan) and Quicksilver (Evan Peters). Blink creates portals pretty much exactly like the mind-bending video game Portal. Her ability is so visually stunning but complicated to grasp (e.g., a villain stabs at her, she puts a portal in front of her, the villain’s stab comes out of a portal somewhere else in the room, missing her completely) that the film seems to slow down every time her powers are on display just so we can bask in awe at the inventiveness. 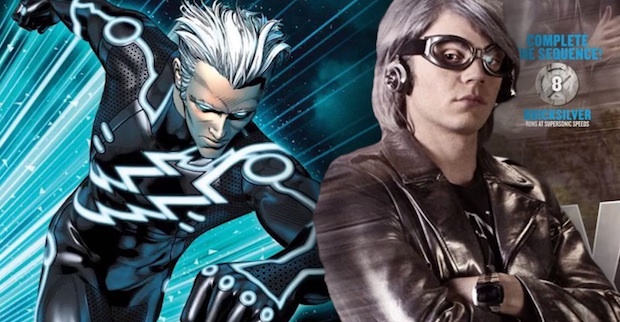 Slow motion is also central to Quicksilver, who is so superhuman fast that from his point of view the world appears to be going in slow-motion, a trick also to be used for The Flash on the forthcoming CW TV show. This creates the film’s standout moment, combining the best elements of Nightcrawler’s White House attack and Magneto’s prison break-out in X2 to remarkably satisfying effect. Unlike Blink, Quicksilver is an actual legitimate character with plenty of dialogue, delivered in a manic, fun manner by Peters, whose oddly pale skin draws to mind any number of Johnny Depp characters. Sadly, he exits the story far sooner than you want him to, but at least he doesn’t overstay his welcome. Part of the reason Singer likely chose to focus more of the special effects on those side characters is because with now 7 movies across 14 years there are certain X-Men movie elements we’ve seen plenty of at this point, such as Wolverine’s berserker rage or Magneto’s mastery of all things metal. They wanted to give us something new while, of course, still giving us a healthy dose of the familiar. Another reason, though, is because this frees up their strongest assets and actors to shine in the character-driven drama, creating several masterful scenes between Magneto and Professor Xavier as well as Wolverine and Xavier. James McAvoy and Michael Fassbender again steal the show, with McAvoy clearly relishing the chance to play a far wider range of emotions as Xavier this time around. Hugh Jackman continues his renewed zest for the role of Wolverine which was on display in last year’s The Wolverine, and his performance in the film’s final moments is exactly as it should be, bringing joy to longtime fans (if you’ve seen it, you know what I mean). The weak link is Jennifer Lawrence. It’s not that her performance is poor, more that it’s underwritten. Screenwriter Simon Kinberg, seriously making up for his sins as the writer of X-Men: The Last Stand, rather efficiently delineates the differing MLK vs. Malcolm X viewpoints of McAvoy’s Xavier and Fassbender’s Magneto as well as establishes Wolverine’s invested interest in the proceedings. However, the entire plot hinges around a choice Mystique made, and although the script makes us kind of understand her choice it never makes us feel her choice. Part of it is down to the decade which has passed in her timeline since First Class meaning her efforts are really to avenge the deaths of characters we never actually saw her be friends with in any way. That then leaves everyone else, and while it is nice seeing Patrick Stewart and Ian McKellan again they are more playing extended cameos than anything else, each of them receiving one spotlight moment. The same goes for original trilogy characters like Iceman (Shawn Ashmore) and Kitty Pryde (Ellen Page). First Class‘ Nicholas Hoult has far more screen time as Beast than any of them, and he remains a continually engaging presence but he has no real character arc, with only the slightest of reminders (such as a close-up on his face at certain moments) that he was once a love interest for Lawrence’s Mystique. Other than a stray cameo here or there (won’t spoil who), Beast is pretty much the only other First Class survivor to show up meaning First Class fans should know that if there’s a character from that movie I haven’t mentioned yet that’s because they’re not in this movie. With the two eras of the film franchise and their respective continuities converging, Days of Future Past doesn’t answer nearly as many of the continuity conundrums that Singer and Kinsberg claimed it would meaning there is plenty to nitpick here. However, here’s the part where I invoke Doctor Who, say “wibbly-wobbly, timey-wimey” to explain away time-travel-related inconsistencies, and remark that the inevitable questions which might emerge, such as how Professor Xavier is even still alive in the future after The Last Stand, should not really detract from Days of Future Past. There are more legitimate criticisms to be made of the book-ending future scenes, which suffer from a general, “We actually have to know a little bit about these new mutants to actually care about them being so close to death” problem. Moreover, the film does lack a compelling central villain (with Magneto around, that’s always an issue since he pulls focus), despite Peter Dinklage’s fine work as Trask although I’ll admit to struggling to adapt to him not using his Tyrion Lannister from Game of Thrones accent. On the technical side, John Ottman’s musical score is neither a plus nor a minus, really, as other than the rip-roaring reprise of his X2 theme in the opening credits he mostly gets out of the way of the film, complementing the action with a full orchestra and cutting back to subtly underscore the emotional moments with minimal instrumentation. There is nothing as memorable as Michael Kamen’s gorgeous character theme for Wolverine and Rogue in the first X-Men, but there’s nothing needlessly distracting either. Ottman’s work as editor, pulling double duty as he does with all Singer films, is remarkably brisk, helping to create remarkably fluid action scenes and a truly masterful cutting back and forth between future and past in the film’s final act without ever becoming too confusing. Holy crap, they did it! They actually pulled it off. With 7 movies across 14 years, X-Men has, with Days of Future Past, now brought to the screen what comic books fans know all too well: the big event re-set. In the comics, the years and years of story line eventually drag everything down with inscrutable mythology. So, almost cyclically the publishers, most specifically DC, manufacture a universe-shattering event to re-set everything and attract new readers. DC recently did it with The Flashpoint Paradox which led into their New 52 re-launch, and now Days of Future Past, loosely adapted from Chris Claremont and John Byrne’s beloved 1981 story, is doing it to the X-Men film franchise, using time travel to combine old and new cast members alike. What’s amazing is not just that they pull it off in a way that is not horribly difficult to follow but that they managed to turn it into a really good movie that just happens to also completely make up for X-Men Origins: Wolverine and X-Men: The Last Stand. What did you think? Like it? Hate it? Let us know in the comments section. 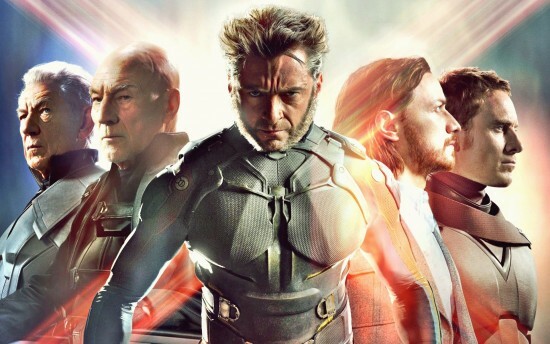 For a round-up of other reviews, check out our “Oh, My Stars & Garters – Early Reviews Indicate X-Men: Days of Future Past May Be Kind of Awesome” article. Great review. You nailed it. Love the film, but just a few things hold it back from being special. Thanks. I just read your review for Days of Future Past at your site (http://andyzachmoviereviews.com/), and I think you nailed it, too. This is a film which has definite weak links, such as Mystique’s motivation, Bolivar Trask in general (despite the presence of Peter Dinklage), and perhaps an imbalance between how much we care about the stuff in the future versus the past. Plus, when we see multiple characters die multiple times but never really know who they are it looks amazing but could have been something we cared about a little more. For me, though, that’s about it because everything else in this movie is just so much fun, and such a love-letter, continuity issues and all, to the long-time fans. I have to see it again just to see the scene where Xavier probes Magneto’s mind because James McAvoy’s acting there (as throughout the rest of the film) is just brilliant and heart-breaking. Agreed. It’s faults are quite minor to me. I always applaud ambition and this film has plenty of it. I really loved the casts work here. As you said, McAvoy is great and Fassbender is always fun to watch. JLaw made Mystique fun to watch for me and raised the material with her talent. Just a great summer flick. It’ll be tough for anything to top it. I gladly welcome it though.